Want to win a grocery gift card for free groceries? 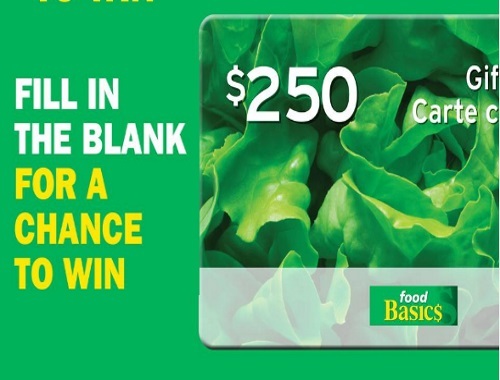 Enter to win a $250 Food Basics gift card! They are giving away 4 on the Food Basics Facebook Page linked below! To enter, write a comment to the filled in blank, "you can always find ___ in my freezer". Contest closes August 7, 2017. Open to residents of Ontario only. One entry per person per day.